We have been very busy the past few weeks preparing for ‘A Day of Fellowship and Sharing’ — a mixed fiber arts gathering hosted by the Golden Threads Ministry. Here is the flyer for ‘A Day of Fellowship and Sharing’! 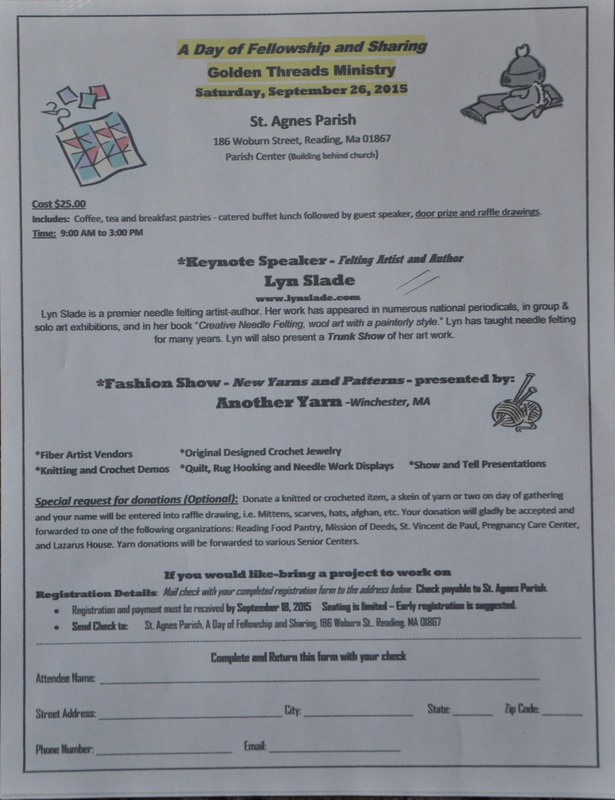 We are especially excited for this event because we will be doing a rug hooking demonstration for the other attendees! Our demonstration will be done using both fine cut and half inch strips. These two strip sizes are great for demonstrations because they provide two radically different results in a rug. In anticipation for the event tomorrow, a behind the scenes post showcasing all of the preparation that has gone into this event felt like the perfect thing! Ania preparing wool to be dyed! 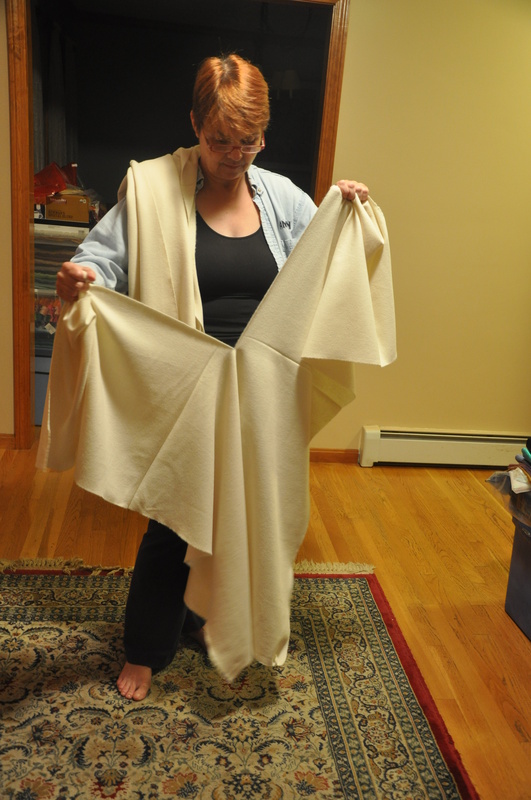 The wool Ania prepared can be used on a lot of different projects besides traditional rug hooking, including to make penny rugs and quilt applique. That’s why an event devoted to fiber arts in its entirety is such a great place to showcase all of these products! Our preparation for ‘A Day of Fellowship and Sharing’ has included dyeing wool, preparing shimmer and metallic wool, making gift baskets, transferring patterns to linen, and more! Take a look below at some of the images of our activities. 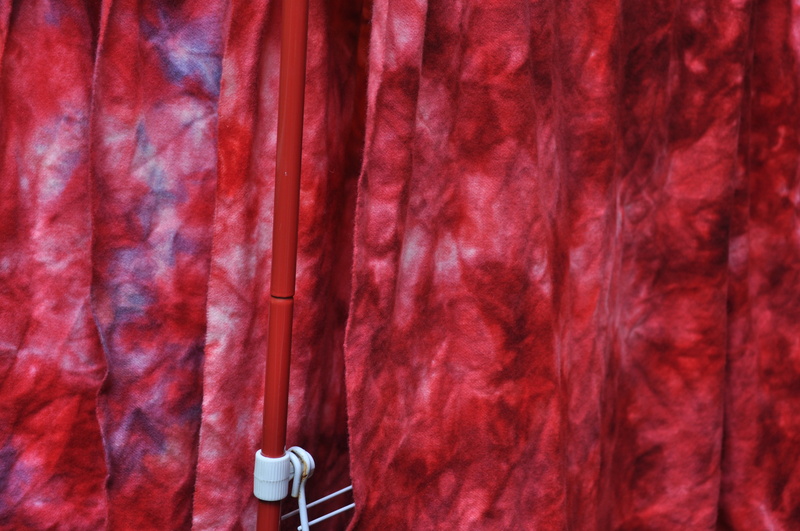 Ania dyed a lot of awesome colors — including these reds which you can see here drying. Our raffle baskets! The majority of people who attend this event are knitters and crocheters and so our baskets are tailored for them. Let us know below what you think! Did you like getting a glimpse of ‘behind the scenes’? Welcome to Ania Creative Designs! At Ania Creative Designs (ACD), we are very excited about all the news, products, and progress this blog will allow us to share with you! This blog will feature a lot of great posts and series. Ania personally welcomes you to Ania Creative Designs’s WordPress! Welcome to ACD’s blog! Once a month, this blog will feature one of Ania’s hand-crafted rugs, accompanied by an interview with Ania on the process behind the rug’s creation. A regular series on ‘inspiration’ will also be featured! This will focus on what is currently, and what has in the past, inspired Ania in her creation of rugs. This blog is an especially exciting format to showcase ACD because it allows Ania an opportunity to show parts of her work that were previously not possible to show! This process will be seen in a series of ‘behind the scenes’ posts. Building off of ‘behind the scenes’, will be another series called ‘patterns and products’, which will be a platform to showcase all of the beautiful products that ACD works hard to create to help you craft rugs! 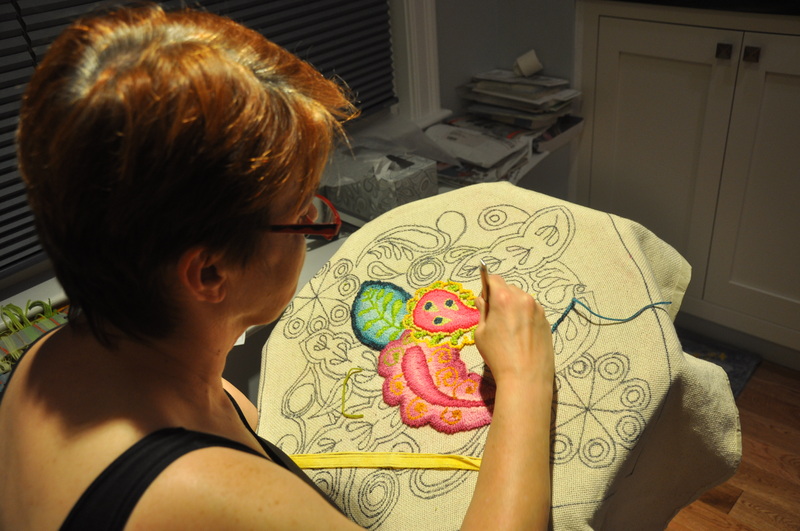 These products will include rug patterns, hand-dyed wool, and Ania’s one-of-a-kind invention of shimmer wool. 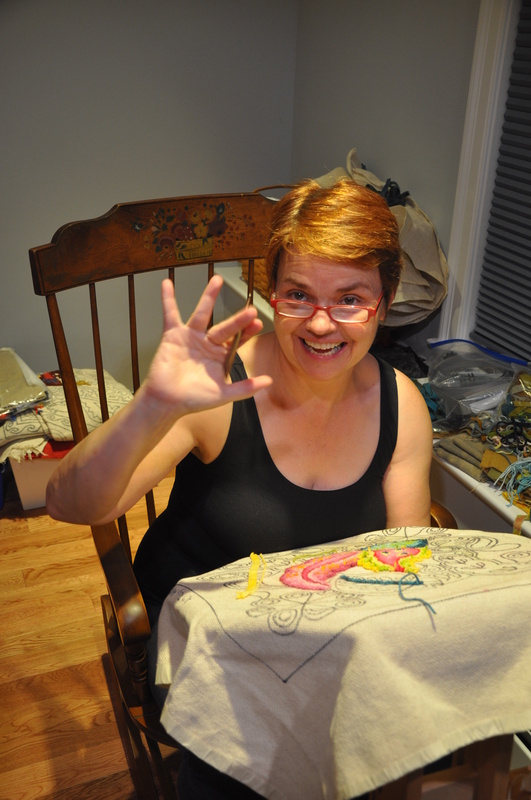 Ania working on her latest rug!